I setup a rooted cutting experiment to see which medium would work best between coarse sand and potting soil. Watch the video to see which worked best! I’ve been trying to root cone flowers with zero luck. I tries clonex with the little cubes, sand, jiffy potting soil and plain water. Have you ever tried? Any suggestions? I have not, but they should root under the system I use, I just haven’t tried them. I’ll post here rather than the board since it is in regards to the video. Question – can you please be more specific regarding rooting cutting medium? The confusion is that all the other information says plant in coarse sand, but this video says potting mix (but there seems to be a caveat). Would this (potting mix) be only if you were going to winter them over? If you were going to pot as soon as rooted would you still recommend sand? In other words is sand still the best medium, with mist, if you are going to pot as soon as rooted? if you were using a mist, but wanted to leave them in over the winter which would use? Were these cutting taken in the fall or winter – does it make a difference? Thanks for all your help. Enjoy the videos. I use sand winter and summer for both hardwoods and softwoods. With hardwoods, and no mist, you can get away with a potting mix instead of the sand. is the Crepe Myrtle Natchez. it blooms white nice light red wood. I’m going to try Crepe Myrtle cuttings without mist. 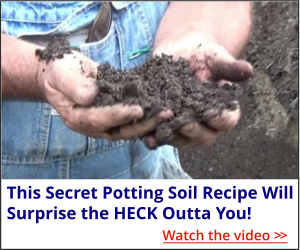 I’ll try potting soil as medium.